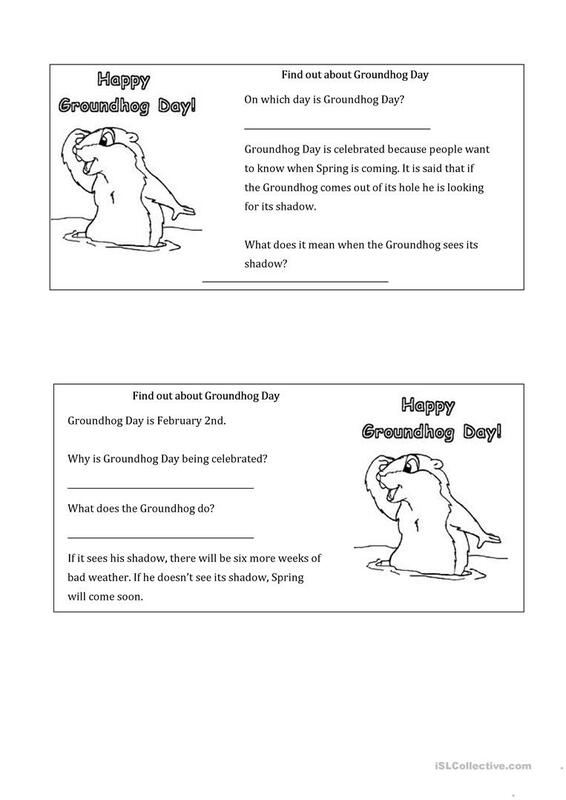 Activity to find out about Groundhogday celebrated in the USA on February 2nd. The students have to get together in pairs and ask questions and answer questions concerning Groundhog day. The present downloadable printable is a great resource for elementary school students at Elementary (A1) and Pre-intermediate (A2) level. It is useful for working on your pupils' Speaking skills. It focuses on the theme of Winter.